Kinderdijk is a village in the province of South Holland, Dordrecht, situated about 16 km east of Rotterdam, Kinderdijk is situated in a polder in the Alblasserwaard at the confluence of the Lek and Noord rivers. Never the less is the village unique for it 19 windmills dating from the 1500s, which are currently the largest concentration of old windmills in the country. 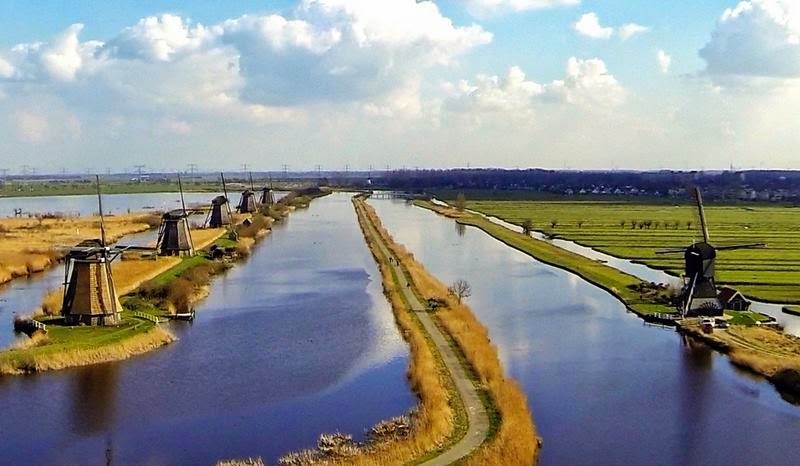 Residents of the Netherlands has long been needed in the development of water level control in order to preserve large areas of flooding, as some parts of the country are below sea level. 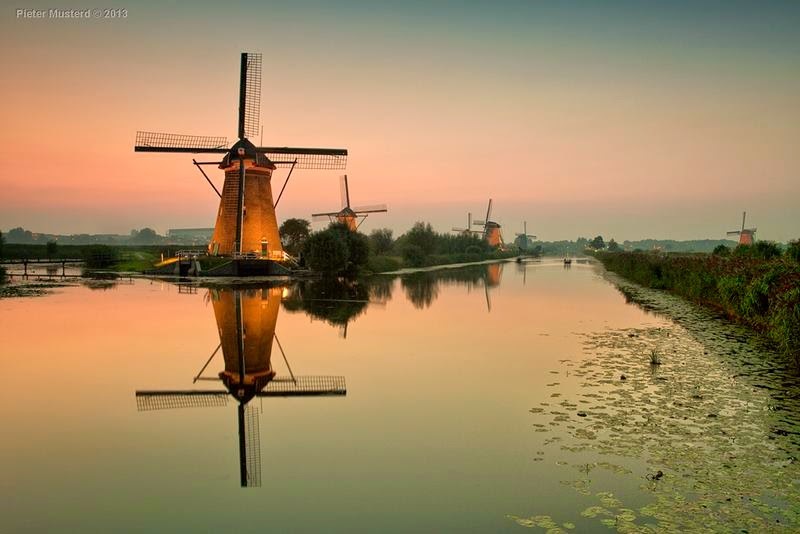 In order to get rid of excess water, were dug a large number of artificial canals. However, while only drained soil begin to solidify, the river level rose due to river sand. 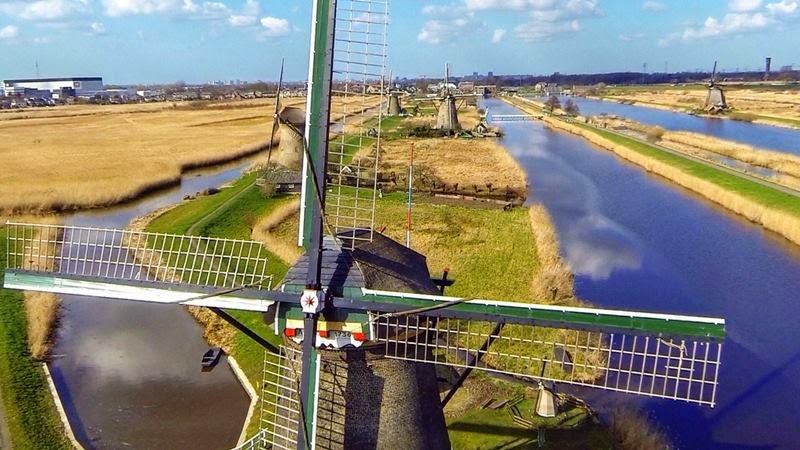 Through several centuries needed a new way to hold the polders dry. 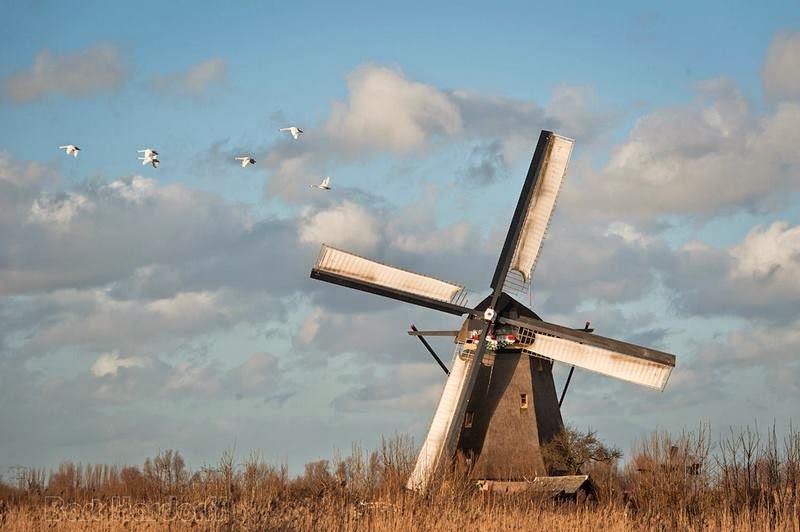 In this connection, it was decided to build a series of windmills capable of pumping water and hold it in the inner basin at an intermediate level between the polder [The low-lying wetlands and marine coastal areas.] and the water level in the river. Full control of the water level has not been reached. 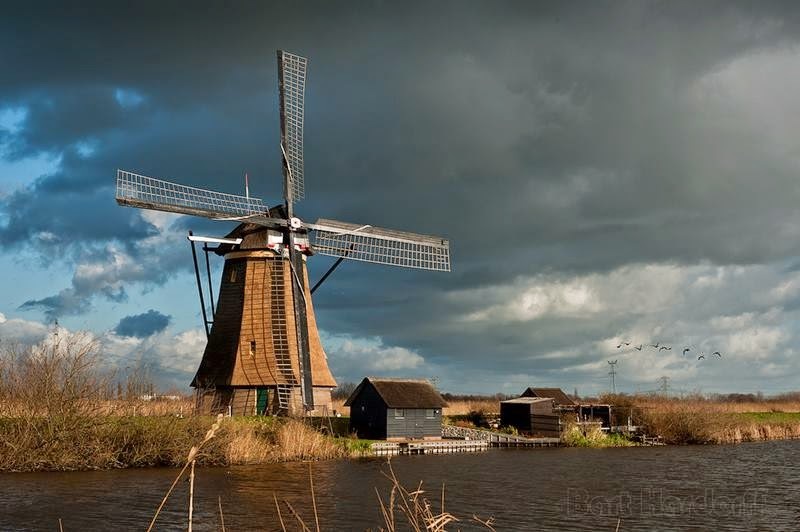 Kinderdijk repeatedly been flooded due to the destruction of dams. 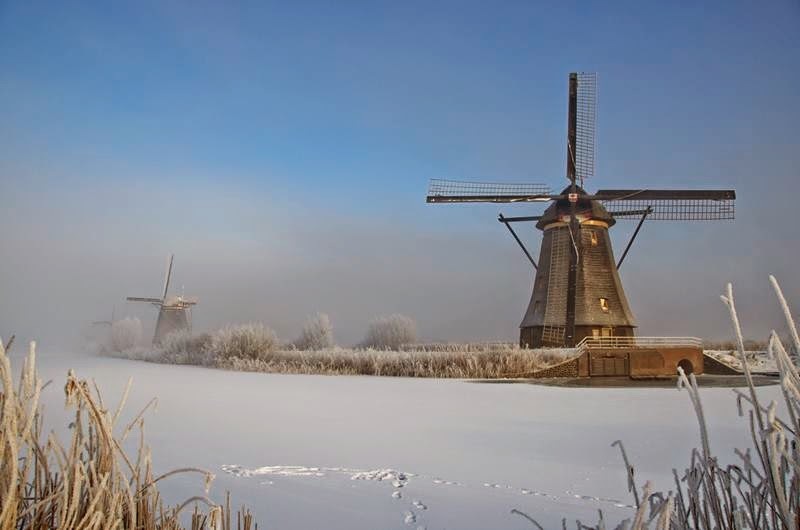 The very name of the village "Kinderdijk" translated from Dutch as "baby dam". 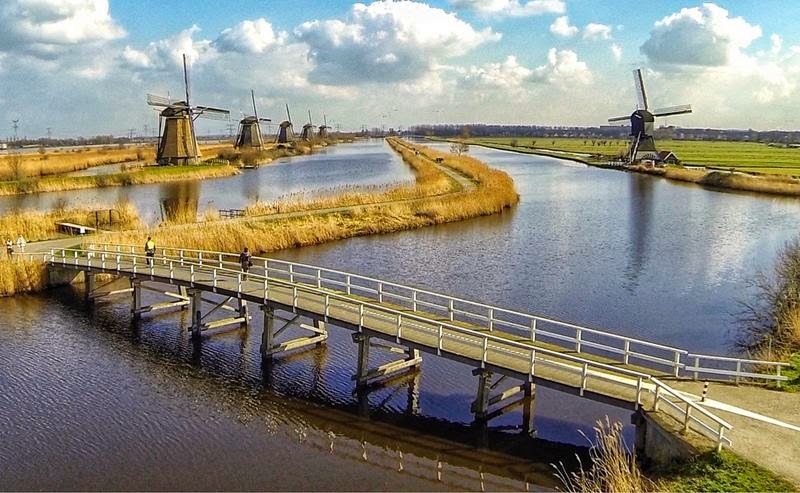 In 1421 during the flooding of St. Elizabeth, the area was partly flooded polders. It was said that when the terrible storm subsided, people went to see what was left, and saw a cradle floating in the water. When cradle swam to the shore, we found that it is dry inside, and furthermore, it quietly sleeping child. 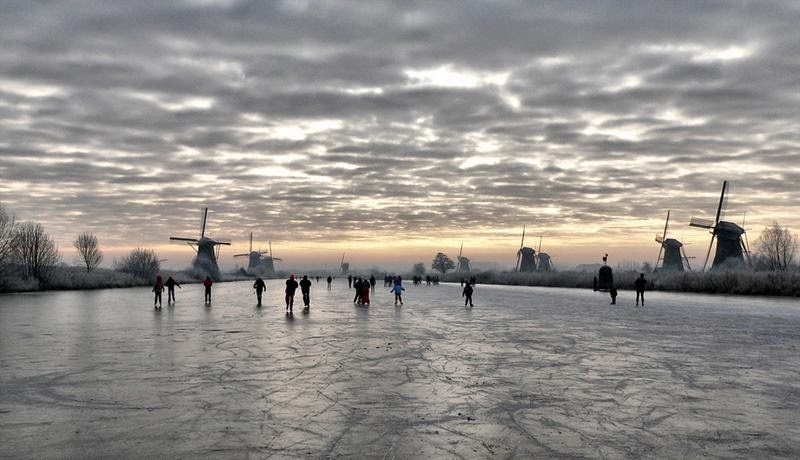 Kinderdijk today - one of the most popular tourist attractions and Holland In 1997 this place was listed as UNESCO World Heritage Site since 1997. 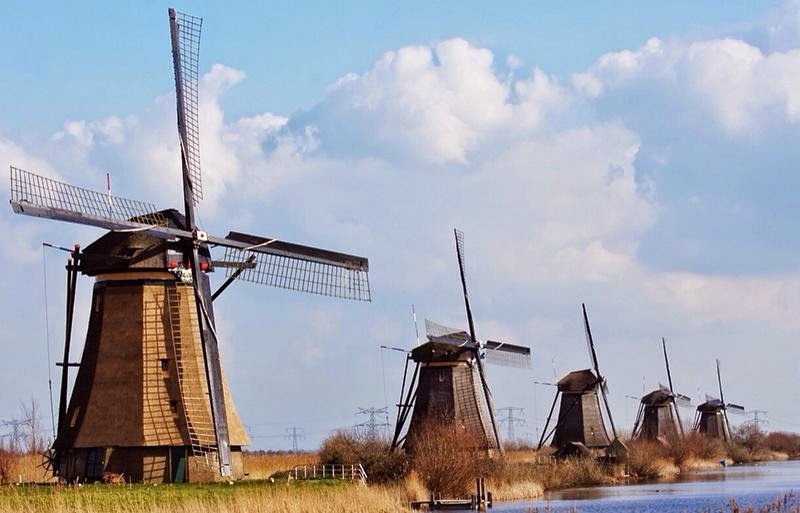 Kinderdijk is just 20 kilometers from Polsbroeka but detour numerous rivers and channels derevenskm roads takes a lot of time, so we got a tip mistress farm and did not go around water hazards via Rotterdam and crossed the valley of the mills on the ferry. Terminal station called "Krimpen aan de Lek", on this site you can see the coordinates. Steam room 6 runs every 13 minutes, but the cost of the crossing, and I do not remember in the network could not be turned. Entering the site is free, but for inspection inside the mills have to pay (for adults - 6 children - 4 €). Opening hours: 09:00 to 18:00. On Saturday, with nearly all of the mill, but also a lot more people. 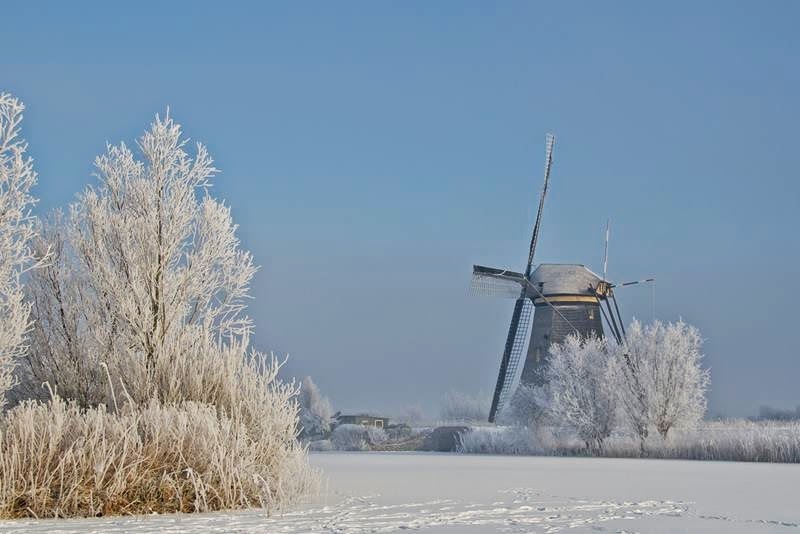 More detailed information can be read on the official site of Kinderdijk. The complex itself, as can be seen on the map, not very big and it is quite possible to get around on foot for a couple of hours. 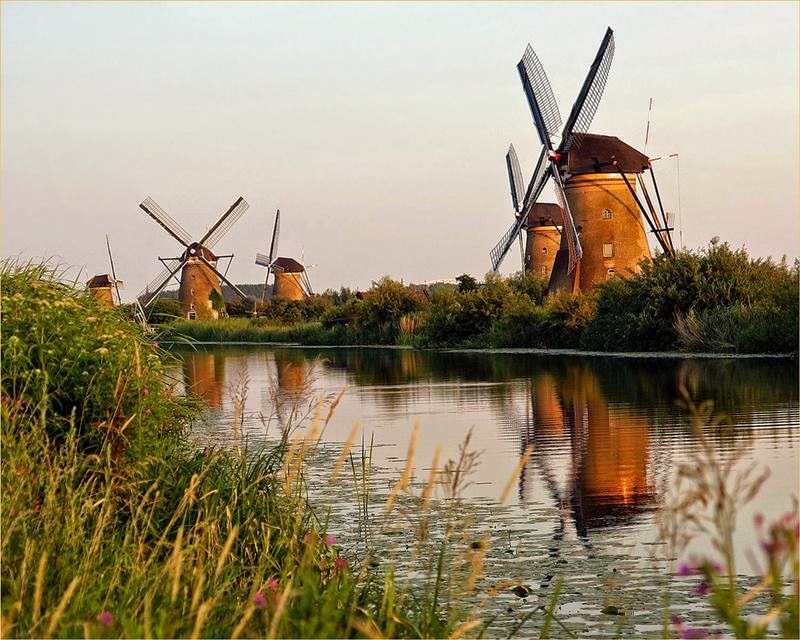 The first windmills appeared in the mid-13th century, not only used for pumping water, but also for grinding grain, sawing wood, pressing oil, tobacco and cocoa processing.